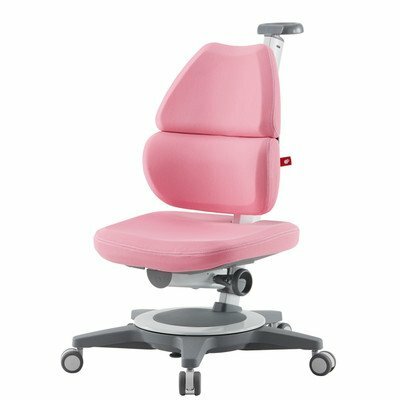 TC109WLP Color: Pink Features: -Memory foam seat and back rest. -Kids spine protection design. -Powder coated steel frame. -2-piece seat back supports lower back while allowing full upright sitting . -All wheels are non-marking polyurethane with self locking casters. -Partially assembled; easy 10- minute assembly. Product Type: -Chair. Frame Material: -Metal. Dimensions: Overall Height - Top to Bottom: -20.5". Overall Width - Side to Side: -25". Overall Depth - Front to Back: -25". Overall Product Weight: -34 lbs.